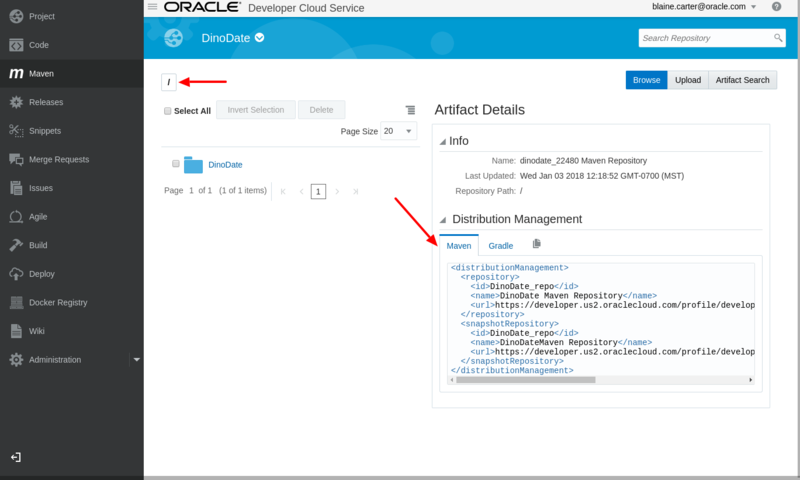 In this post I’ll show you how to stand up a couple of Docker containers running Oracle Database Xe and Oracle REST Data Services. I will assume you are familiar with using Docker. If not checkout this getting started guide. 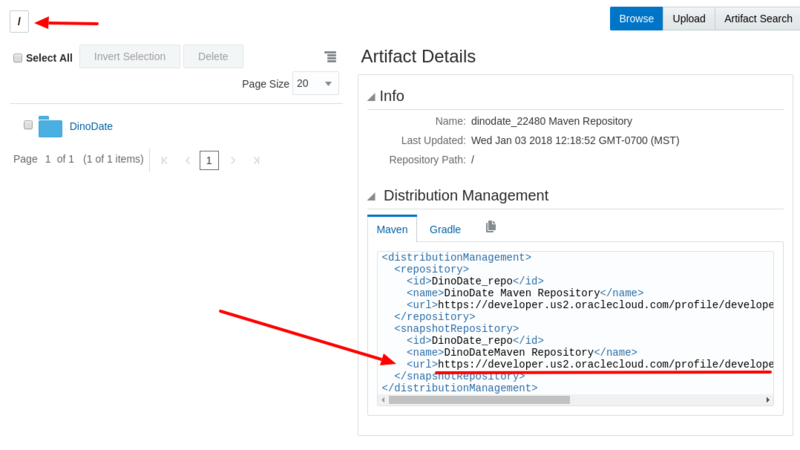 Oracle provides a GitHub repository with a log of great examples. Clone repository into the directory where you want to work. You can find more information about Oracle Xe at https://www.oracle.com/rest. Download the installer and place it in the docker-images/OracleDatabase/SingleInstance/dockerfiles/18.4.0 directory. I’ll be using oracle-database-xe-18c-1.0-1.x86_64.rpm . You can find more information about ORDS at https://www.oracle.com/rest. Download the installer and place it in the docker-images/OracleRestDataServices/dockerfiles directory. I’ll be using ords-19.1.0.092.1545.zip . ORDS runs in Java, so you’ll need a Java JRE. 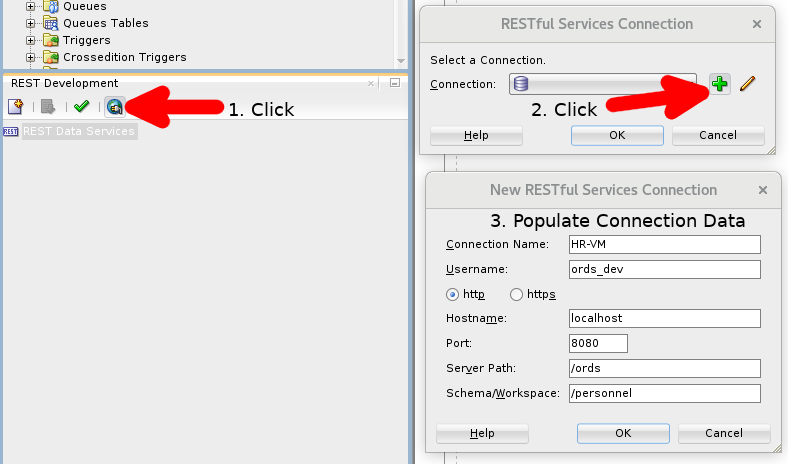 Download the Server JRE and place it in the docker-images/OracleJava/java-8 directory. I’ll be using server-jre-8u211-linux-x64.tar.gz . We’ll be running the database and ORDS in separate docker containers. Define a docker network that they will use to communicate. Change into the docker-images/OracleDatabase/SingleInstance/dockerfiles/18.4.0 directory. Make sure the Oracle Xe install file (oracle-database-xe-18c-1.0-1.x86_64.rpm) is in this directory. This directory contains a Dockerfile.xe ready for us to use. Take a minute and read through the file to see what it is going to do. The repository includes a shell script (buildDockerImage.sh) that you can use to build the docker image for Xe and other Oracle Databases. It can be found in the docker-images/OracleDatabase/SingleInstance/dockerfiles directory. Instructions for using this script can be found here. I won’t be using the shell script. *Notice the dot at the end, this is not a typo. docker build --force-rm=true \ --no-cache=true \ --shm-size=1G \ --build-arg DB_EDITION=xe \ -t oracle/database:18.4.0-xe \ -f Dockerfile.xe . You can find an explanation of the Docker Build parameters here. If this command doesn’t work for you, try using the shell script. The following command is similar to the command you’ll find on the GitHub repository, but I’ve added a ‘-d’ to run the container in detached mode and I’m not defining any data volumes so my data will not persist when I delete the container. You can find more information on the docker run command parameters here. When the last line of the log looks like this, you are ready to proceed. Now try to connect to your new Oracle Xe Database. Copyright (c) 1982, 2019, Oracle. All rights reserved. Before we create the ORDS container, we need to create a Docker image with Oracle Linux 7 and a Java JRE installed. We will use this as a base image to build on top of. Change into the docker-images/OracleJava/java-8 directory. In there you will find a Dockerfile and the server-jre-8uXXX-linux-x64.tar.gz file you downloaded earlier. Take a minute and read through the Dockerfile to see what it is going to do. docker build -t oracle/serverjre:8 . We do not need to create a Docker container from this image. We will only need the image as a base for the ORDS image. Now we can create the ORDS image. Change into the docker-images/OracleRestDataServices/dockerfiles directory. In there you will find a Dockerfile and the ords-19.1.0.092.1545.zip file you downloaded earlier. Make sure your Xe database is running with the docker ps command above. The repository includes a shell script (buildDockerImage.sh) that you can use to build the ORDS docker image. It can be found in the docker-images/OracleRestDataServices/dockerfiles directory. Instructions for using this script can be found here. If you choose to run the shell script instead of the below command, and there is not a Checksum file included for the version of ORDS you are installing, use the -i 1 command line argument to ignore the check. docker build --force-rm=true \ --no-cache=true \ -t oracle/restdataservices:19.1.0 \ -f Dockerfile . Now we can create the ORDS container. Make sure that you set -e ORACLE_HOST=oracleXe to the name you used for the Oracle Xe Database container you created above. ORDS will not find your database if you use localhost. The containers are basically separate servers running on the same network --network=OrdsXeNet . The parameter -e ORACLE_PWD="Password1_One" is the SYS/SYSTEM password you used when you created the Oracle Xe Database above. 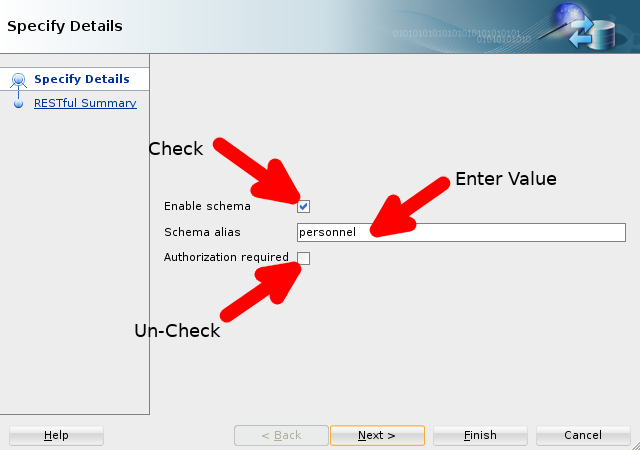 The parameter -e ORDS_PWD="ORDS_Password1" will be used as the ORDS admin password. It does not need to be the same as the database password. 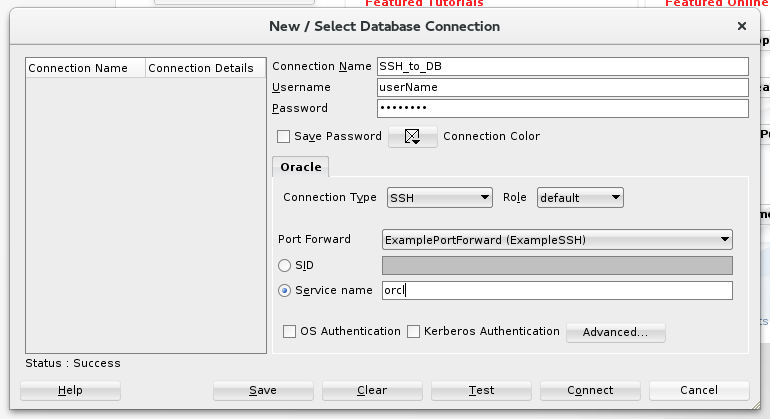 You should now have an Oracle Xe database up and running in one container and an ORDS instance running in the other. Right click on the connection. 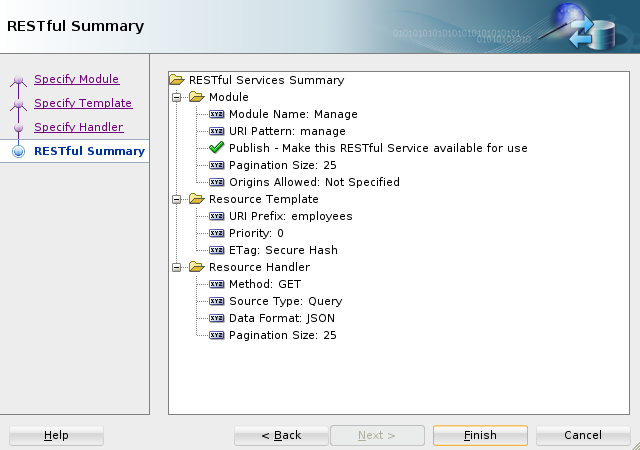 Look towards the bottom of the menu for “REST Services”. 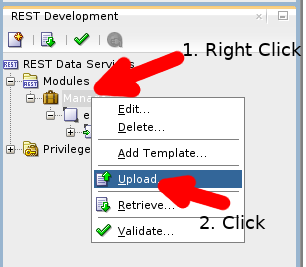 Have fun creating your new REST modules! 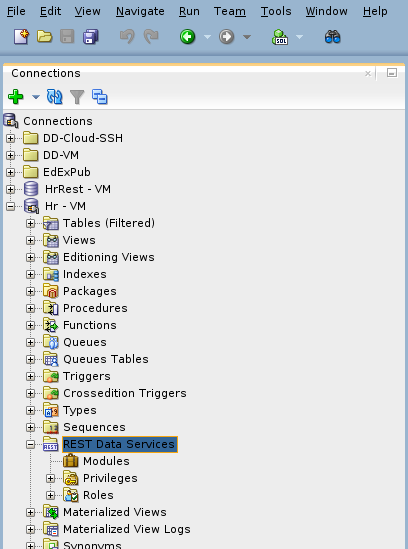 I like to experiment with a lot of different things and of course, a significant number of my projects require an Oracle database and Oracle Rest Data Services (ORDS). I often use a VirtualBox VM for my project in order to keep it’s environment “clean”. 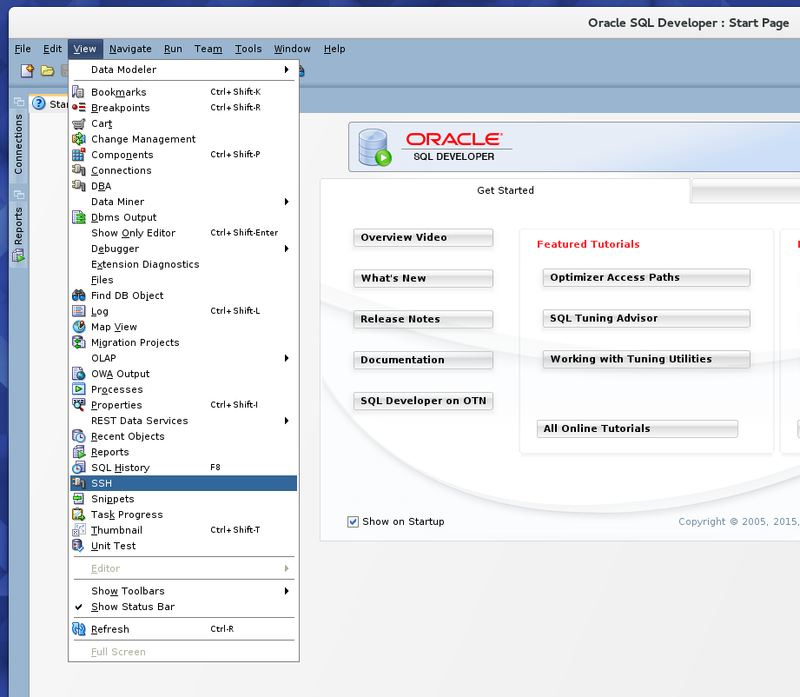 This guide will walk through the steps to set up a VM with Oracle Xe and ORDS installed and ready to go. Vagrant automates the creation of a new VM from scratch. I can use a Vagrantfile and some shell scripts to spin up a VM quickly, saving me time and hard drive space compared to keeping a bunch of VMs laying around that I would need to maintain. You can learn more on the Introduction to Vagrant page. Before we get started, install VirtualBox and Vagrant. After you’ve finished, download the following. Java JRE. Get the 64bit download. Goto https://github.com/oracle/vagrant-boxes and either git clone the repository or download it as a zip file and extract it. As of the date that I’m writing this post, I’m using the following versions of the above downloads. This walkthrough should work if you use these versions, if you use different versions you may have to make adjustments. Some of the following steps will be run inside the VM others in the Host environment. Check the title of the code blocks to make sure you’re in the correct environment. To open an SSH connection to your new VM run the following command in the project directory created in the next step. Make a copy of the 18.4.0-XE directory. When you are working in the virtual machine, the /vagrant/ directory will be mapped to the dbDevToolbox directory on the host machine. 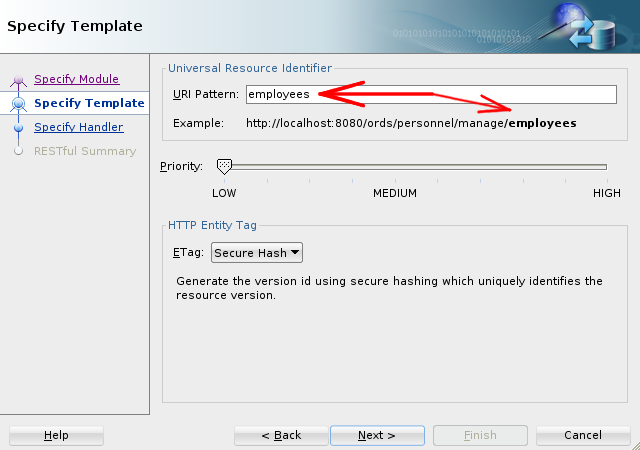 # define hostname NAME = "db-dev-toolbox"
Open port 8080 for ORDS to use. Run the following command to start the vagrant build process. This may take a few minutes to run. When it’s finished it will generate and display the system password, you’ll want to remember it. At this point you have a new virtual machine with Oracle Xe installed and running. Optional: If you would prefer to set your own password, enter the following commands in a shell. Replace ‘newPassword’ with the password you want to use. Use the .rpm file to install java. This will be used to configure ORDS. Feel free to modify the settings for your environment. If you change the port, remember to also change it in the Vagrantfile in the above step. For an explanation of these and other settings, you can find the documentation here. Switch to the oracle user. 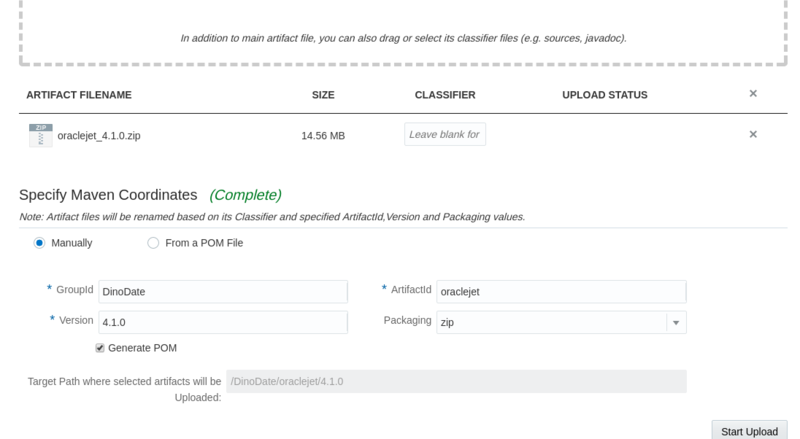 Unzip ORDS into the Oracle product directory. Copy the above properties file into the ORDS directory. Set the LD_LIBRARY_PATH environment variable. This is needed in order to install ORDS with a bequeath connection. 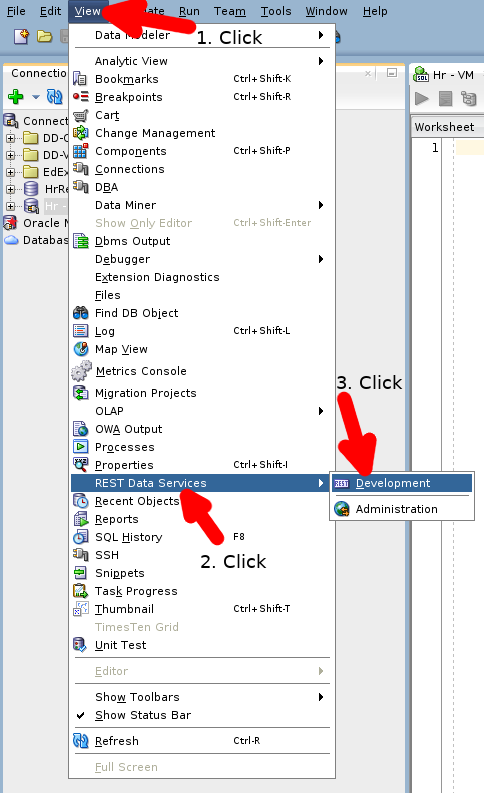 Run a silent installation of ORDS using the above parameter file. Create file dbDevToolbox/oracle-ords-18-4 using the following example. If you decide to write your own, make sure ORDS does not attempt to start until after the database is fully running. For example, in the below file I included ‘# Required-Start: oracle-xe-18c’. # description: This script is responsible for the ORDS service. echo "You must be root user to run the configure script. Login as root user and then run the configure script." #start stop 'this' ORDS only picked out by war file. echo -n "Shutting down $NAME "
Set the configuration run levels. At this point, your VM should have both Oracle Database XE and ORDS installed and running. If you’re already familiar with ORDS you should create a test module to make sure everything is working. 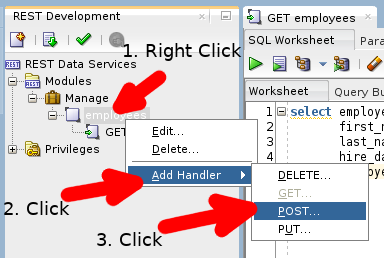 If you’re new to ORDS you can create the file dbDevToolbox/setupHr.sql. 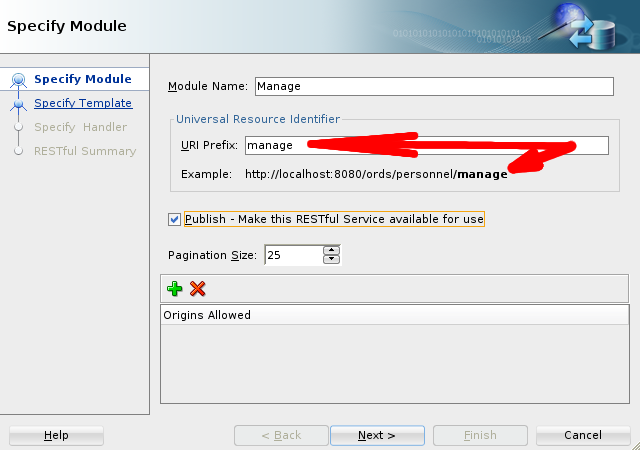 This script will enable the HR user and create an ORDS module. 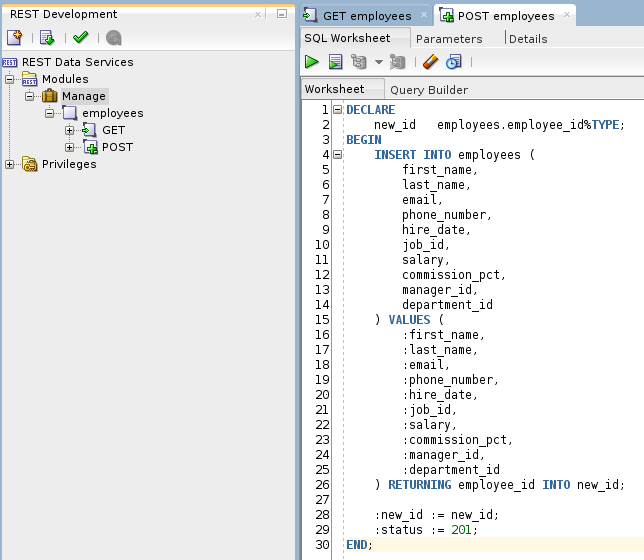 Use SQL*Plus to run the above script. Replace <YourPassword> with the sys password from the beginning of the post. Use curl to test the REST service. 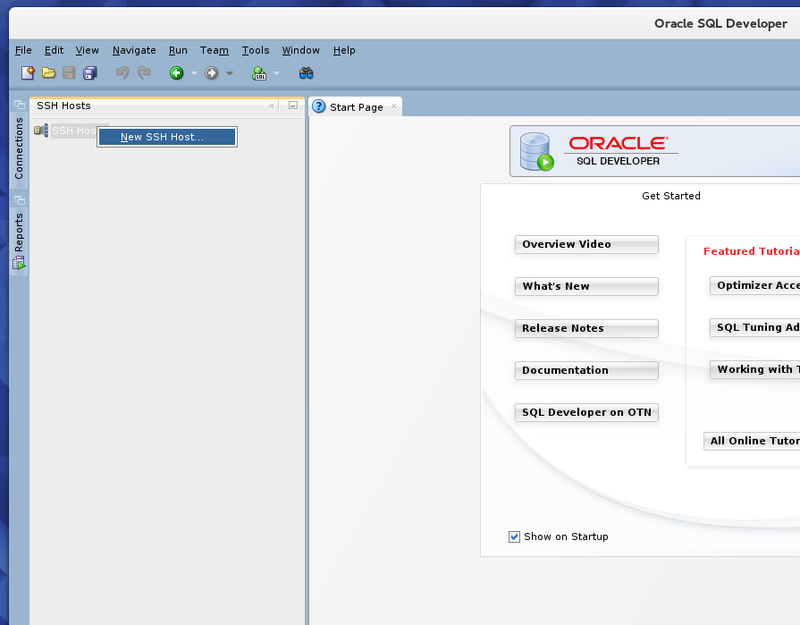 Creating a new VM with Oracle XE installed is already fully automated. 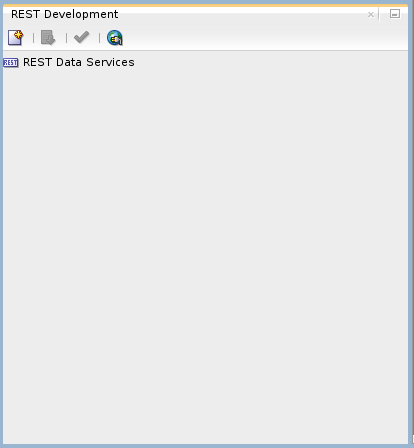 Now, I’m going to show you how to roll the ORDS steps into the Vagrantfile. The below file collects all of the above steps into a single shell script. Create the file dbDevToolbox/scripts/installOrds.sh with the following. echo -n "Waiting for the database to start"
Destroy the current VM and create a new one. WARNING: This will completely destroy the VM we created above and create a new one from scratch. If you have made any changes you’d like to keep, make sure to back them up first. Confirm that you want to destroy the VM. Make a copy of the dbDevToolbox directory with a new name. Edit the Vagrantfile and modify the NAME entry. Run the vagrant up command. When you’re finished with the project use vagrant destroy to clean up. I’ve decided to learn more about DevOps. I’ve always been a believer in automating repetitive tasks and letting machines do as much of “my” work as they can. The way I learn best is (as you can tell by the name of my blog) I learn about the topic, I build something from what I’ve learned and I share my experience. 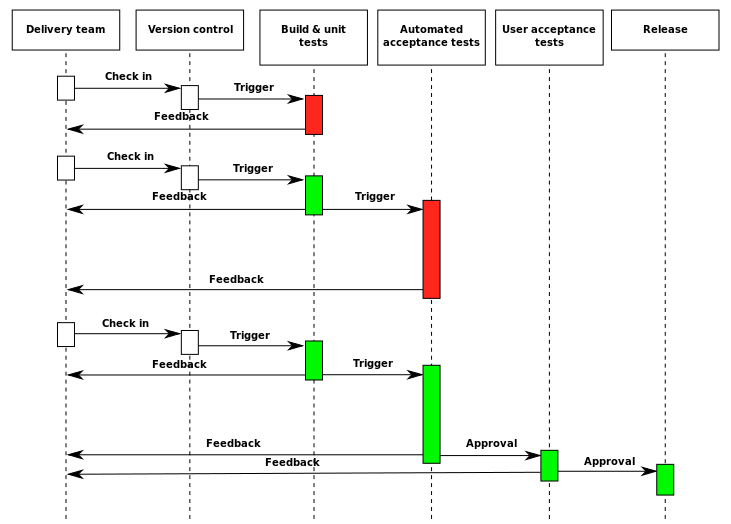 Given that DevOps is a very big topic, it will take more than one or two posts to do it justice. This post is the first in a series of blog posts, videos and presentations that I plan to create as I learn more. I think the best place to start is with what I “think” I know now. A couple years ago I was using Jenkins to create a continuous delivery pipeline for a project I was working on. I was the only one working on the project and after seeing a CD demonstration at a conference I figured I’d give it a try. I had everything working and I was quite pleased with myself. Then I started hearing the term DevOps and assumed it was just a term for what I was already doing. I was partially right. DevOps is more than just automating the software delivery process, it’s also a cultural mindset. It’s developers and operations working together throughout the full lifecycle of a project instead of in separate silos. Since I was working solo on that project I missed out on this aspect. Currently, I’m not working on any project where I can experience the full cultural aspect so I plan to mentally assume different roles as I work through the learning process. If you’d like a better definition, there is plenty of material available on the web from real experts. I only wanted to document what DevOps means to me as I start to learn more. 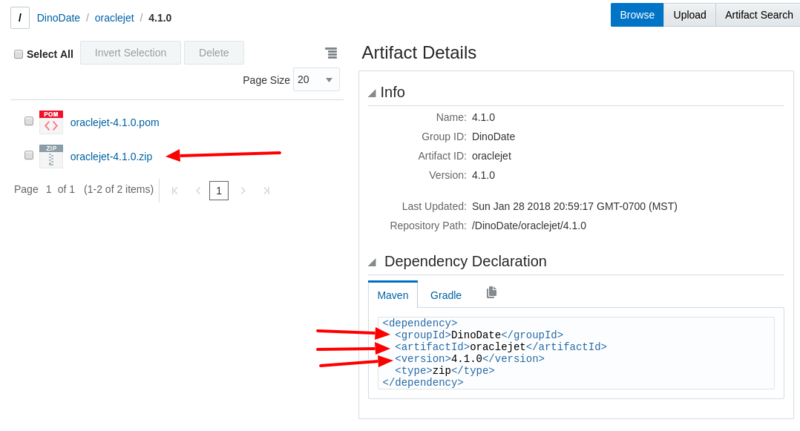 I have been working on an open source application used for demonstrations and learning called DinoDate. I am going to build a DevOps process around this application. My focus will be a bit more on the database aspects of DevOps since the database isn’t always used to its full potential and sometimes even treated like a bucket of data. I will be building this process using the Oracle Developer Cloud Service against an Oracle Cloud Database and other Oracle Cloud services, as well as other tools such as Jenkins against an Oracle Database on a VM. 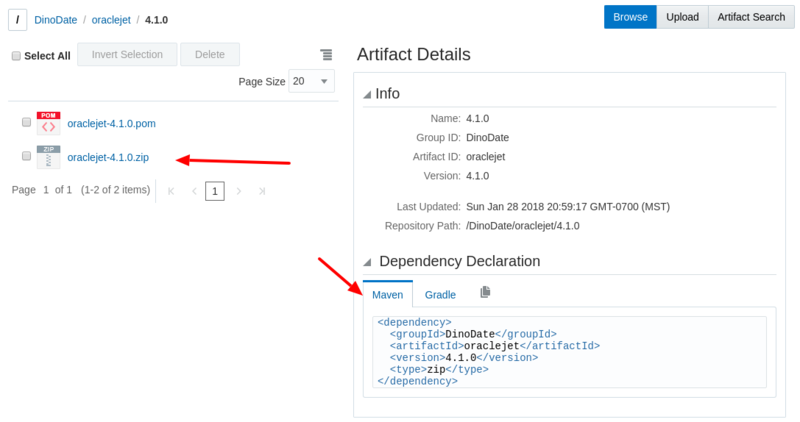 Define the steps to manually deploy DinoDate as is. Automate the build and deploy process which currently is, run some scripts and scp the code to an Oracle Compute instance where I have already setup Python and NodeJS. Deploy the NodeJS and Python apps to an Oracle Application Container Cloud instance. Add some open source tools to improve the process. 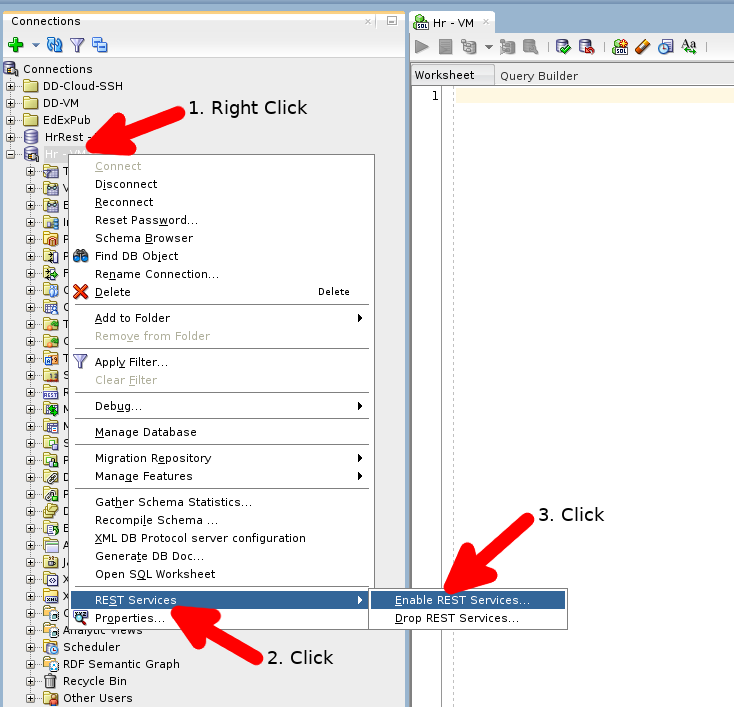 Schema object version control using Liquibase. 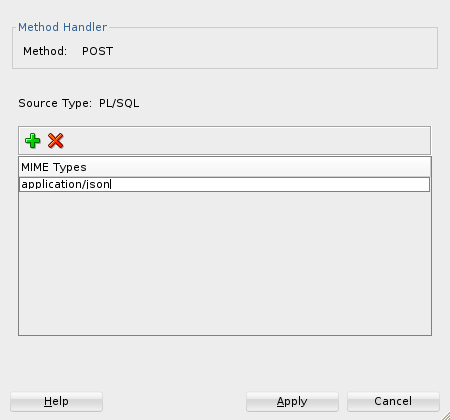 Unit tests for the PL/SQL using UTPLSQL. Automate creating the infrastructure (DB, Compute instance) from scratch then deploy, test and destroy. Reproduce the entire CD pipeline using Jenkins (or another tool) against a VM. Once I’m satisfied with my understanding of the tools and workflow, I’ll find a project that would benefit from a DevOps environment and pester encourage them to switch to a DevOps process with an offer to act as the DevOps “expert”. Keep an eye out here and on my YouTube channel for how-to and ‘lessons learned’ posts that I’ll make as I go. Feel free to post a comment if you see that I’ve already got something wrong or if you have a specific interest you’d like me to focus on as I go. I’ve been using the Oracle Cloud Database for a while now. I connect through an SSH tunnel and I love the convenience. To end it I find the pid of the ssh connection and kill it. The problem is, I often forget to kill it and/or I attempt to start it multiple times throughout the day. This isn’t a big problem, just a minor annoyance. Then I happened to notice the SSH item in the view menu. Yes, I often complain before looking for a solution. 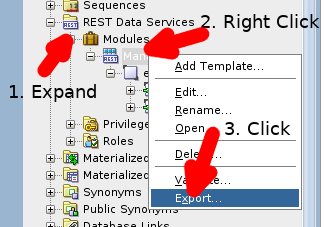 In the menu, clicking View/SSH brings up the SSH panel. So let’s add a new Host. 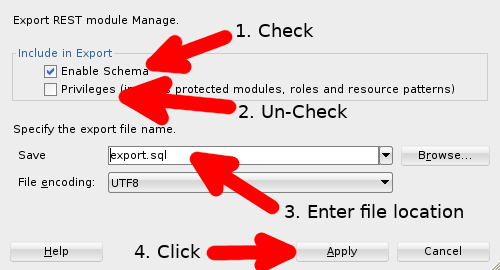 Fill in the Name, Host and Username, if you’re using a key file, check the box and select the file. 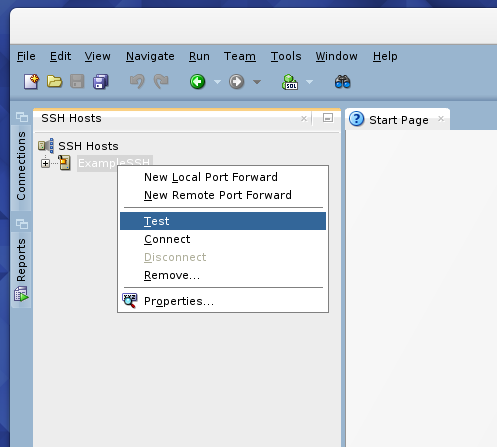 Check the Add a Local Port Forward box and give it a name. Change any of the default values, if you need to, or just hit ok.
To test it, right click on your new SSH host and click Test. Create a new connection just like normal. 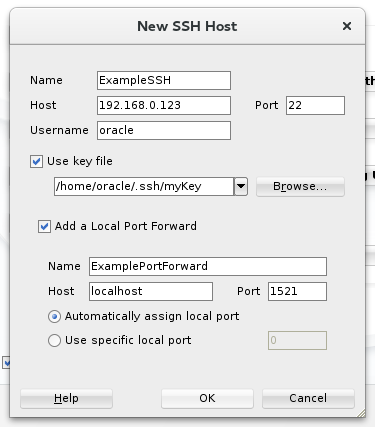 Change the connection type to SSH and select your new Port Forward from the list. Click Test. Assuming everything is correct and you get a Status: Success, click Save. 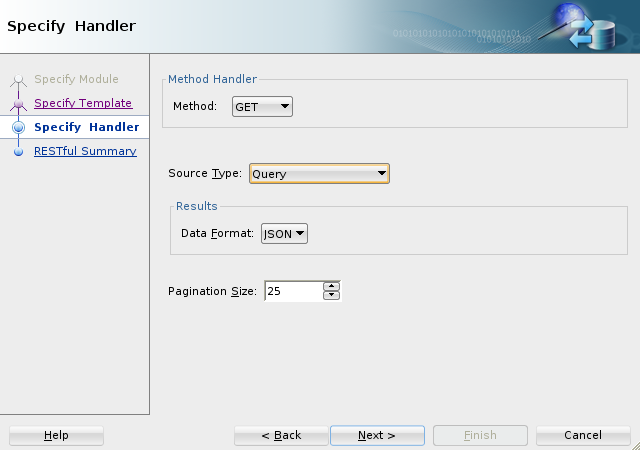 Now use your new connection as you always have and SQL Developer will handle the SSH connections.